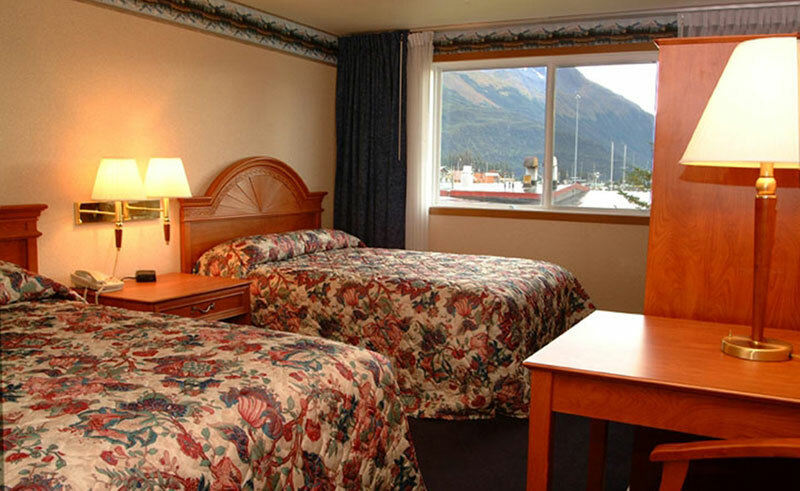 Overlooking the picturesque Valdez boat harbour on three sides, the Best Western Valdez Harbor Inn offers 88 comfortable guestrooms and friendly service. Tour boats gather at the docks just outside, offering perfect access for those who seek to explore Alaska’s magnificent landscape and wildlife from the water, or for those who dream of fishing Alaska’s rich waters. Within easy walking distance of downtown Valdez, where a visitor centre, museums and many local gift shops are waiting to be explored, each of the Harbor Inn’s rooms are equipped with flat screen TV, DVD player, microwave, mini-fridge and free wifi access. Parking is available on-site.